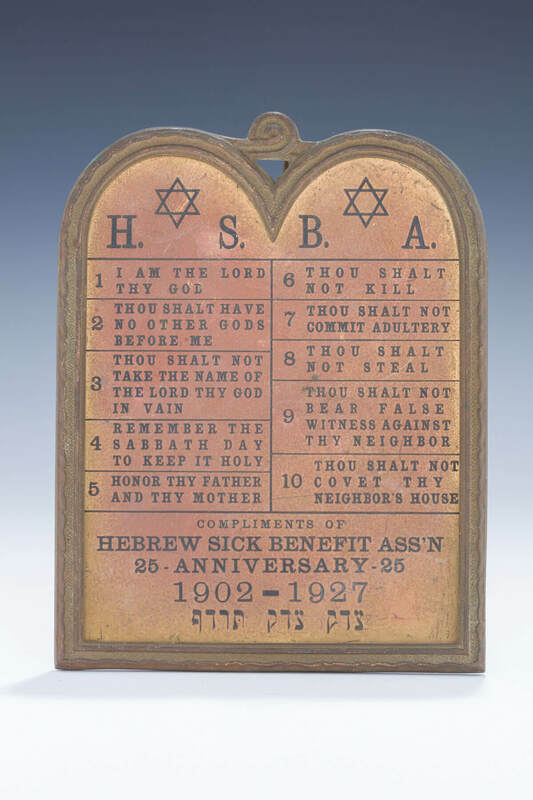 A BRASS STANDING PLAQUE OF THE DECALOGUE. New York, c. 1928. Decorated with the Ten Commandments in English and the name of the Hebrew Sick Benefit Association as well as Tzedek Tzedek Tirdof (Justice, Justice, you shall seek)8.7” tall.